We are proud that our inclusive culture is the main ingredient that sets us apart from other organizations. Our values & team work make our organization a great place to work. Our Strength is our team members, who come from many different backgrounds, and we work in an amazing variety of roles, yet, we are all united by the same passion to care, serve, delight, and are hungry to learn and share new skills. With the positive attitude anyone can achieve their career goals in Spinalogy Clinic. We offer a variety of skill development programs for all levels. If you have a sights set on a career specific goal, you can have an opportunity to take it on higher level of responsibility & leadership roles. 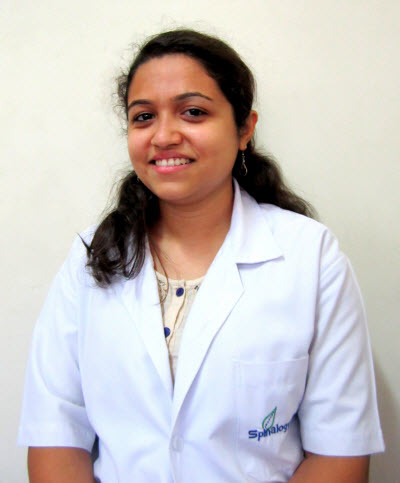 Spinalogy – A clinic where I got an opportunity to start my career when I came in Pune. It has been a fantastic journey, a great learning experience and I have enjoyed every moment of this enriching and memorable journey both professionally and personally. Best part I like about this clinic is, I feel privileged to work here like one family. I am very thankful to our director, Dr. Kiran Shete who had seen confidence & believing in my work. Diagnoses done by him are so accurate which showed 100% cureness in patients. Patients are always satisfied by the treatment given to them. Another good part is that patients are given non-surgical treatments here. Clinic has given me a challenging exposure that had made my career a new way. Here we are given an opportunity to assess patients directly for manual therapy treatment. I specially thank to Dr. Mitali who had trained me in my initial stage and was always supportive. Also thanks to my other colleagues for sharing their knowledge and helpful throughout my time. Unfortunately I had to leave this clinic for my personal reason. But I would love to re-join in future. I feel proud being a part of such a magnificent clinic Feel privileged to working here & it’s a great experience, never forget lot of Memorable & lovely time we shared. I wish you everyone all the very best in their future and hope to see Spinalogy to achieve more success & reach new horizons. I joined Spinalogy Aundh Branch in Sep 2010 and could not have imagined that I was going to get such a good opportunity to work with expert team of doctors. Spinalogy clinic is a great place to work; my job here has groomed me professionally and has changed my outlook of treating patients. I was joining the clinic after a gap of 1.5 years and was almost starting afresh. Dr Shete has encouraged me and gave an opportunity to work in the clinic. I have always had a positive atmosphere while working with my seniors and co-workers, this environment helps in treating patients effectively. . I have learned a lot from each member of this clinic. It’s an interesting and challenging place to work. The team work provided by each member is magnificent and the most enjoyable part of the job was knowing that you are a part of a team working towards one goal, “Taking Care of Patients First”. I wish the entire Spinalogy clinic team success in their future endeavors. There are some workplaces where you work to earn a living and there are those where you learn, aspire, are motivated and have fun too. Spinalogy is of later category. The atmosphere is research oriented and patient care is evidence based. Team work is the hallmark of this place with ample scope of individual growth. If you have talent and skill they will be recognized and rewarded. My experience with Spinalogy was truly fulfilling professionally and personally. Thank you. 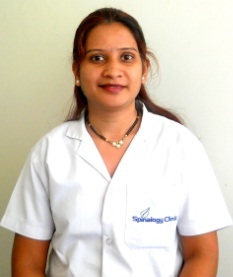 I have been working in Spinalogy Clinic since one and half years now and it has been a wonderful experience throughout. Spinalogy has always helped me in achieving all my professional goals. Our medical director, Dr. Kiran Shete is very supportive and open to new ideas. He has always given me the freedom to work innovatively. He motivates and helps us to carry out research in the clinic. Research and evidence based practice is something which helps me to deliver the best patient care here. The clinical experience that you get in this clinic is awesome. Each case is like a new challenge. The variety of conditions I get to treat here enriches my experience. Spinalogy is always concerned about patients first and their care. Thus there is no compromise on the quality of the treatment. Clinic has inculcated some leadership qualities in me and has made me responsible and punctual. It has also taught time management and interpersonal communication. All my colleagues are very friendly and helping. The atmosphere in the clinic is always lively and flexible – we work like a family. There is never a dull moment. I enjoy the daily interactions with all highly trained and skilled colleagues. Overall the environment is always stress free. The most important and unique point about Spinalogy is that every year there are many celebrations and parties! Helps us to relax and rejuvenate. It is great working here and I am thankful for this opportunity. I am proud to be a part of Spinalogy Family and hope the clinic continues delivering the best service as it always has. As a fresh graduate from college, I started my Physical Therapy carrier at Spinalogy clinic. This place has refined me into a fine therapist. It provides a platform for excellence in patient care and professionalism. Dr. Kiran Shete, is a very dynamic medical director who accepts nothing less than the best possible treatment options for his patients. I have thoroughly enjoyed my journey at Spinalogy, where I was fortunate enough to learn a lot of things and be a part of the team that delivers the best to its patients needs. I am currently pursuing my higher education in United States. Spinalogy is an unique clinic of its kind where the best of its treatment is given to patients focusing on non – surgical approach towards treating patients. As a physio I am proud to be a part of spinalogy for more than 2 years as this is a place where physiotherapist and their works are recognised to its fullest and given an independent hand in assessing and treating patients. The freedom of decision making and execution of treatment given to us related to therapy is the positive factor in this center. The rapo that is maintained between the doctor and therapist is apreciatable. The medical director Dr. Kiran Shete is a down to earth person who is approachable at any time for issues related to treatment and for my personal issues as well. The hunger towards learning the recent advances in the field of orthopedic and physiotherapy and encouraging others to also cultivate the hunger is commendable. I am really happy and proud to be a part of spinalogy family and I recommend the physio who are looking for an recognition and a freedom of work to consider spinalogy and try to become a part of spinalogy family for their bright future. At work, when you don’t realize time has flown by , it indicates you are enjoying and are satisfied with the work you are doing. I did not realize — it’s been two years , I working in Spinalogy. With a degree in Ayurveda, I was a bit apprehensive in joining Spinalogy as I thought I will have restrictions in treating patients. But the freedom of treating patients, the importance of various treatments done here, the loving and alert staff, joyful colleagues and cheerful environment won’t allow anyone to leave this place unless for personal reasons. Special thanks to Dr. Kiran Shete Sir who believes in you more than yourself. A person who recognizes your talent and helps you to explore it for your personal and professional growth. A person who is ready to accommodate you, help you because he believes all employees are his family. Having a Ayurvedic background, I must honestly admit that I could satisfy my hunger and greed for Orthopaedic knowledge to a better extent. Right from taking case history, treating patients through natural therapies ,assisting Sir in the non-surgical procedures I have been able to refine myself as a better individual and as a doctor. Thanks to the supportive colleagues, staff members who helped me in making my days memorable. Team work is the USP of Spinalogy, where the ultimate goal is treating every patient effectively. Needless to say that one waits for the get –together parties where you get charged with full energy and enthusiasm and where employee is appreciated for his/her efforts. All I can say is — If you have talent, skill, sincerity and devotion towards your work, Trust Spinalogy for a memorable experience.